Ryanair will up its digital marketing spend in the coming year, making personalisation a key theme in its ongoing brand turnaround. The no-frills airline has previously admitted to its poor record in digital, but boosted its marketing budget by €25m (£18m) over the last year. 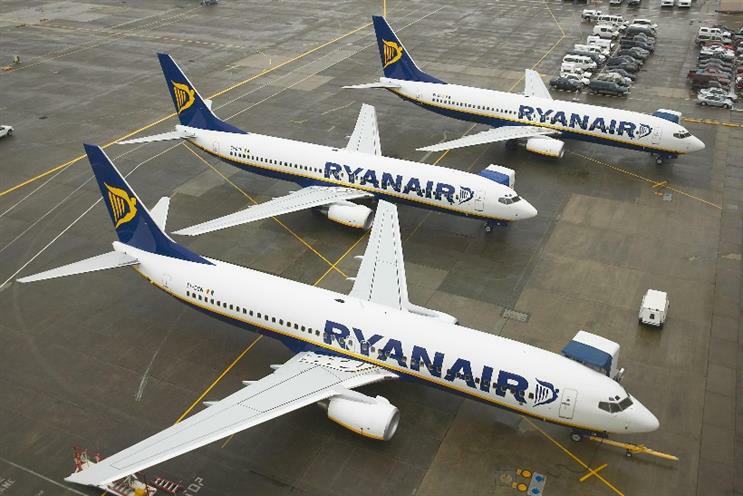 This year, it has outlined plans to launch a new site and pointed to the ‘My Ryanair’ mobile app refresh as part of it is broader digital push. Speaking during the company’s full-year financials, chief financial officer Neil Sorahan told Marketing: "We’re trying to get better at personalisation on the app and the mobile and desktop sites. As we enhance that, we’ll be able to better target passengers with the offers they want. That’s the real goal for us. "Digital is a strong area for us – we spent an extra €25m on marketing last year, that was a step-change and there will be another step-change this year. We’re getting better at digital marketing." Ryanair is into the second year of its three-year ‘Always Getting Better’ programme, launched after CEO Michael O’Leary admitted the airline should probably scrap "things that unnecessarily piss people off". Last year this resulted in the launch of Ryanair’s enhanced business offering, Business Plus and allocated seating. This year will see Ryanair focus on digital services and better customer service, such as a new site with price comparison features. However, Sorahan suggested the company won’t be undercutting itself by displaying lower prices from competitors. The company refused to comment on its plans for the final year of the programme. Operations chief Mick Hickey told Marketing: "We’re into the second year of ‘Always Getting Better’ and the focus is on two aspects. It’s moving those items that hack people off, and we are quite close to the end of that process." One item on the kill list is the jolly bugle sound that plays once a Ryanair plane has landed. Hickey added: "The second process is in terms of interacting with customers, we have the new launch of My Ryanair, and we’ll have a continuous rollout of those products as we go forward." Chief executive Michael O’Leary credited the programme with the airline’s 66% rise in net profits to €867m (£613m) for the year to 31 March. The airline is now first or second in terms of market share in most of the countries it operates in, bar Germany and France, where it takes third place.